On June 12, 1783, Empress Catherine II issued an imperial edict that “Russian Theatre should be not merely for comedies and tragedies, but also for operas.” This date is considered the starting point in the history of the Mariinsky Opera Company. The current theatre building on Theatre Square was opened in 1860. The theatre’s magnificent décor of dazzling white sculptures, lustrous gilt chandeliers and light blue upholstery created the perfect atmosphere in which to herald in St Petersburg’s golden period of operatic history. In 1862, Giuseppe Verdi’s La forza del destino was premiered by the Mariinsky company and opened the doors for the premieres of Russian masterpieces such as Boris Godunov (1874), Prince Igor (1890), and Queen of Spades (1890). The Mariinsky Theatre, under the baton of Eduard Napravnik, quickly took its place among the world’s leading opera houses, giving the premieres of many operas by Rimsky-Korsakov, including May Night, Maid of Pskov, Snowmaiden, Mlada and Christmas Eve. The Theatre’s ballet company under the directorship of Marius Petipa was equally distinguished, premiering Tchaikovsky’s Nutcracker and The Sleeping Beauty and influencing the development of classical dance for generations to come. At the beginning of the twentieth century, legendary artists such as Fyodor Chaliapin, Anna Pavlova and Vladislav Nijinsky graced the Mariinsky’s stage. Under Soviet rule the Mariinsky Theatre was renamed the Kirov. Notable twentieth century premieres included Rimsky-Korsakov’s Kitezh and The Golden Cockerel, Shostakovich’s The Nose, The Golden Age and Prokofiev’s Romeo and Juliet (complete version). In 1988, Valery Gergiev was appointed Artistic Director and Principal Conductor of the Kirov Opera. After the collapse of the Soviet Union, the Theatre reverted to its pre-Revolutionary name and, in 1996, Gergiev was named Artistic and General Director of the Mariinsky Theatre. 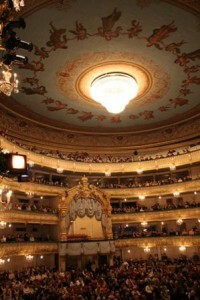 Under his leadership the Mariinsky Opera, Ballet and Orchestra have continued to garner worldwide praise. Their performances have enriched international understanding of Russian repertoire, and in St Petersburg Gergiev has re-introduced works by Wagner, and brought other notable 20th century operas such as Strauss’ Elektra and Die Frau ohne Schatten, Britten’s The Turn of the Screw and Janacek’s Jenufa onto the Mariinsky stage. The ballet company has undertaken a major presentation of the works of Balanchine, and staged ballets by contemporary choreographers such as Ratmansky, Forsythe, Neumeier, Robbins and Dawson. In 2006 the new Mariinsky Concert Hall was opened, on the site of the former Mariinsky workshops, destroyed by fire in 2003. Providing a permanent home for the Mariinsky Orchestra, in addition to symphonic concerts and recitals, the concert hall also presents staged works. A series of opera productions, specifically created for a younger audience and sung in Russian, has already proved immensely popular. 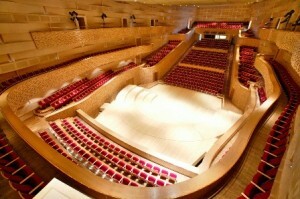 With its acclaimed acoustics the Mariinsky Concert Hall has also become the venue for all the recordings made on the new Mariinsky Label, launched in 2009. The Mariinsky Theatre represents a unique cultural force among performing arts organizations on the world stage. Its touring schedule and residencies abroad total more than 200 performances each year and span the globe, throughout Europe to North America, Asia and beyond. The Mariinsky’s artistic impact and its ambassadorial role on behalf of Russian culture has been recognised by governments and international organizations alike.